The German-American Police Association of Greater Milwaukee is a social club that focuses on the celebration of German heritage among law enforcement officers, family and friends. The association has no affiliation or ties to any political organization. Its aims are to promote a positive view of law enforcement and strengthen the foundation of German history that has earned Milwaukee the title of "German Athens" of the United States. 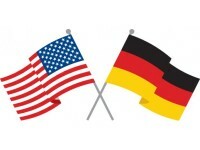 The German-American Police Association of Greater Milwaukee was established in 2008, and is a fraternal and social organization comprised of law enforcement officers with an interest in celebrating German heritage. Milwaukee-GAPA currently meets once a month, and is seeking new members comprising of active and retired law enforcement officers from the Milwaukee area and abroad. Associate membership is also available to non-law enforcement officers. Milwaukee-GAPA aims to grow into an organization that will hold social functions for its members and families, along with promoting charitable activities that would benefit German-American entities in the Milwaukee area.